On Monday Turkey’s Vice Prime Minister Bekir Bozdag sent Eurovision fans into a frenzy when he met with members of the press at TRT Headquarters. Asked whether the government has any plans of returning to Eurovision in 2018, he confirmed that participation isn’t on the cards. TRT Haber tweeted his comments, and soon deleted them. But not before a number of Turkish media sources and Eurovision fan sites published the news. Analysis of the meeting has been somewhat scant, but noted Turkish journalist Ali Eyüboglu has offered some insights on his Instagram account, where he tries to explain the reasons why a Eurovision return for Turkey is unlikely. Eyüboglu, who is known to have friends in high places across government and entertainment through his work with a number of leading Turkish newspapers and magazines, shared a picture of the Eurovision and TRT logos with his 35,000 followers. In the meaty caption he nodded to the endless speculation over whether Turkey will return to the contest — and who its contestant might be. Eyüboglu then revisits many of the arguments that diehard Eurovision fans already know. He cites three principle issues that keep Turkey away. Under these conditions, he writes, fans should just “forget Eurovision”. Translation: Turkey does better with televoters than with the jury and feels that juries mark it down. For instance, in 2009, Turkey’s Hadise earned 12 points from televoters in nine countries. But only one jury — Azerbaijan — gave her its top points. In 2011 the Turkish band Yüksek Sadakat failed to make the final. While the televoting public ranked them 10th, the juries put them down in 12th — sealing their fate. In recent years a number of countries — from Bosnia & Herzegovina to Ukraine — have had to withdraw owing to financial difficulties. But more often than not they sort out their financial issues and return to the contest. Turkey — which has been absent for five consecutive years — seems to take issue with its fee, which the EBU decides based on a number of factors including potential viewers. Given that Turkey’s 80 million people make it larger than any other participating nation except Russia and Germany, its fee is probably quite hefty. At the very least it’s bigger than TRT deems fair. The first two points lead quite naturally to this one. TRT feels that juries are biased against it. Then, adding insult to injury, they have to pay a hefty fee based on their population. And then, despite being larger than Big 5 nations France, the United Kingdom, Italy and Spain, they are not guaranteed a spot in the final. Critics of Turkey’s position will point out that Russia — by far the biggest country in Europe with a population of more than 140 million — isn’t in the Big 5 either. And it’s pretty clear juries have a tendency to penalise its acts. The best way of guaranteeing a spot in the final is to send a strong act. This year’s rumour mill seemed to churn faster and with more force than in recent years. As we previously reported, Sertab Erener fuelled speculation that Turkey would return during a recent Instagram Live session. “How do you feel about being the first Turkish woman who won Eurovision?” she was asked. Turkey’s 2010 representative maNga later posted a cryptic message on Twitter: “Eurovision again and again?” they asked. Eurovision ? Yine yeni yeniden… ?? Fans quickly interpreted this as a sign that Turkey — and indeed maNga — would be making a comeback. They subsequently issued a denial, saying that their message had been misinterpreted. In any case, that’s what a prominent Turkish journalist thinks. What do YOU think? Do you think Turkey was mistreated during its final years at Eurovision? Are they right to stay away in protest? Let us know in the comments box below. So basically behind all the excuses it’s down to the arrogance of Erdogan not being able to cope with not winning. Typical authoritarian crackpot not being able to fix the results. It’s a very bad excuse and if the poorest countures in Europe such as Moldova, Macedonia, and Albania compete every year and don’t get good results then why can’t Turkey just come back because those thre (Albania, Moldova and Macedonia) don’t usually qualify and never complain about the big 5. Won’t miss them. Sorry not sorry. Are they only mad because of the juries? Because they keep avoiding giving 12 points from Germany to Turkey every and every year? Never understood the hype about their songs. Sertab deserved to win but I don’t like any of their newer songs. I don’t really mind Turkey not coming back. If they want to come back, they need to stop behaving like sore losers and start accepting the fact that no country can succeed every single year, not even Russia. Otherwise, as someone already said, bye Felicia! I don’t think the big 5 care that they are almost guaranteed to always lose. As long as they are in the final, they will get ratings at home, and that’s what counts, not winning the actual thing. Well that’s a shame. Turkey was one of my favourite countries in Eurovision, first year I watched was 2003 when Sertab won. I think it’s clear Erdogan is the roadblock he wants to transform turkey in an eastward looking Arab state, rather than the westward looking European state of Ataturk. As for the Big 5 they all pay more than Russia and turkey. The funding formula is based on GDP. I am for the big five to stay. It is like… Grand Prix of Monaco or Monza in formula one. The legends, the patriarchs, the corner stones. New tracks, billion investments come to formula one every year and it is great to have GP of Azerbaijan, GP of Emirates, etc. But GP of Monaco deserves to be there just because it is GP of Monaco. Half a century of history, tradition, loyalty to good sport. Same for big five here for me. Sorry, Turkey, love you but i am on a different side of the argument here. If you are happy…keep doing that. You’re occulting that france was 6 last year, Italy gets in the top 10 all the time, Germany won in 2010 and got a top 10 ranking the year after. When big 5 send good songs, they’re not handicaped by their status. And it’s not arrogance it’s logic. Big 5 has to pay huge fees to keep the contest going, if you want to remove the big 5, then you will make small countries withdray because they would have to pay a higher fee. Hadise got low points from the juries because she couldn’t sing live. That’s the cold hard truth. And about the Big 5: Do they think they should be straight to the final because they’re larger than other Big 5 nations? Sth like, why are they to the final and we aren’t? That’s ridiculous. Maybe because they pay the most money and maybe because they are among the very first countries which have participated in this contest? Exactly their huge fees allow small countries like San marino or Albania to participate, and when you pay such amounts you deserve to have good ratings and be in the final. I would be ok with my country (France) not being in the final anymore, but then it would be fair for us to pay less, and you would see small countries withdrawing. But Dustin the Turkey had failed to qualify?? Turkey have sent some good songs, ones that I understand why they’re in the final, but not always worthy of the result. Like in 2012, I never understood why it did so well (other than its Turkey). It feels like they just aren’t happy that they weren’t Top 5. As for the Big 5, it took them 12 years to finally complain about it? I think it only became a real issue for them once they failed to qualify and weren’t getting Top 5. Generally, no I don’t think they’ve been treated unfairly at all. Turkey is one of the most successful nation the last decade. About the voting: This is ridiculous! I mean… Turkey was top 10 most of the times. If it wasn’t for the juries, they would have been higher or even won again. The juries are supposed to keep things balanced and be objective. (it doesn’t always happen but that’s another discussion.) Not to mention their big diaspora across Europe.So why are they complaining? Because they don’t have only the televote to place them top 5 every time, whatever the song. About the cost: Ok, I can understand that. Other countries have this problem too from time to time. No loss. Turkey never sent any good songs anyway. Big 5 is weird and not transparent. I’ll ask why no new countries joins Big 5 (Russia, Australia), to become Big 6 or Big 7. It is weird to keep the same 5 countries pretending it’s for the good of the show. I’m sure Putin wants Russia to be in Big 6. Azerbaijan will pay anything to be in Big 7. Australia will do anything to secure a place in Big 8. The truth is that we know nothing about Big 5. Are you serious? What money does Russia have? They’ve lost billions from the US sanctions. Azerbaijan can’t even give their citizens clean drinking water and Australia’s Broadcaster has been having to fire their employees because of budget cuts. Smarten up. Oh boohoo. See ya Turkey! Dear Turkey.. The big 5 are not about who’s the biggest Country but who supports the Contest the most in a financial way what makes the ‘Money/ not big 5’ – complain of Turkey more than funny. If the Big 5 wouldn’t exist the Contest would be a lot more expensive for the others and if the Contest is already to much of a financial issue for TRT why would you want to be part of the Big5 or abolish them? Every Turk I know identifies as European. The main issue isn’t financial but political- the current Turkish government do not look kindly on Eurovision, due in part to Erdogan’s more religious outlook (I am Muslim myself so I don’t mean this as a criticism of Islam, just an observation) and Turkey’s international reputation being more sullied as time goes on due to an increasingly draconian government. While they don’t appreciate the juries for dampening their high diaspora televote, I’m sure Turkey wouldn’t try to get them banned especially when they came 2nd in 2010. I agree with everything you’ve said. It’s said that so many people have such a narrow world view that they can’t understand Geo-Politics. I don’t care for Turkey tbh……I want Slovakia to be back. Slovakia needs to get to the final like how Czech Rep. did in 2016. In other words, TRT is bankrupt. Anyway, if Turkey returned, I’m not so sure they’d do all that well anymore. Consider how Greece & Azerbaijan have been doing the past few years. Turkey would probably be in that same category. Not only that, Azerbaijan and Turkey would split the diaspora vote, thus dragging each other down further. Hmm. We have poorer and smaller countries than Turkey competing, countries like Moldova, Albania. They seem to afford to compete every year. And Macedonia hasn’t been in a final since 2012, do they complain about juries, Big 5 and what not? No, they just carry on competing! YOU WILL NOT BE MISSED! Hahaha I’m actually quite happy they will be out. Their 2012 entry was pure garbage and I have no idea how it came 7th. And, Turkey left Eurovision to start the mess that’s called Turkeyvision which we all saw failed quite miserably. I also wish EBU would make a flag policy where the countries that are not participating, their flags should not be allowed in the arena like they do with “not-recognized” countries. We have a lot of to learn from this comment. This is what a real Eurovision fan should not to be. Eurovision is about being together, feeling each other.Thats why it was invented years ago. Its not about only music, its not only a music contest. This is where all hate and discrimination comes from. Racism, sexism, vandalism all have one same origin and connected with each other. Fight against all of them or accept all of them. Remember, accepting one brings another, you dont have a right to choose. You are over reacting. He didn’t say anything racist. The flags of unrecognized countries are banned because they are provocative and often represent occupied territories of some other countries. Claiming the the Turkish flag has to be banned too is the pure result of your hatred towards this country. And yes, Turkey is being missed by lots of Eurovision fans. It’s obvious why you dislike Turkey so much. Don’t you think it’s time to leave all the politics and history behind when it comes to Eurovision? The funny thing is that they still did well in the years following the return of the juries. … but they feel that only public understands the load of ethnic pop rubbish that they tended to send … because what we public know about music? Nothing … a professional jury hurts their feelings and the idea that their 2003 only happened because, we the public, did not know better. And juries love Poland, who always brings high quality music, is that right Charles? I wonder if Turkey ever returned, would they face a barrage of outraged rainbow-flag protests for breaking up gay prides over the last three years and arresting the participants like ESC fandom has been doing in the case of Russia? Or would double standards prevail yet again? Although I hate the Turkey bashing by neo nazis below every Turkey related article, I have to admit, they are right about one thing, these are just excuses, and we will not come back until there is a government change. People bash Turkey because Turkey deserved to be bashed. And, you’re the last people to speak of “nazism” when nazis literally took the idea of ethnic genocide from Turks. Say this to diplomats killed by asala, or workers burned in solingen. 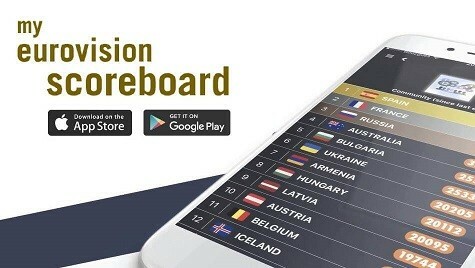 How does the EBU determine participation fees for each country? Do they do it by audience numbers or..? Most likely. They probably adjust it based on the host nation’s proposed budget and audience share (and/or how much in fees/taxes they pay for their media). Turkey’s definitely a force to be reckoned with if they were to come back with their strong ethnic identity in their music (as they did before), and could overcome the juries with a strong televote (as Hungary, Romania, and Belgium did this past year) for a solid Top 10 finish. Oh come on I don’t think it’s that expensive. I mean if F.Y.R Macedonia and Moldova can participate and they don’t get good results, that don’t complain about big 5, and they still participate…, and they are poorer and smaller countries than Turkey. These are just bad excuses. Oh damn, I really wanted Turkey to come back. ?